Coca-Cola Park, home of the Lehigh Valley IronPigs minor league baseball team, has received numerous honors and distinctions since its debut in 2008. Named Ballpark Digest’s “Ballpark of the Year” in 2008, Coca-Cola Park continues to be received with an unmatched level of excitement and fanfare in Lehigh Valley and surrounding regions. Since their debut season, the IronPigs remain Minor League Baseball&apos;s per game attendance leader while continuing as the only Minor League franchise to eclipse 600,000 fans annually. 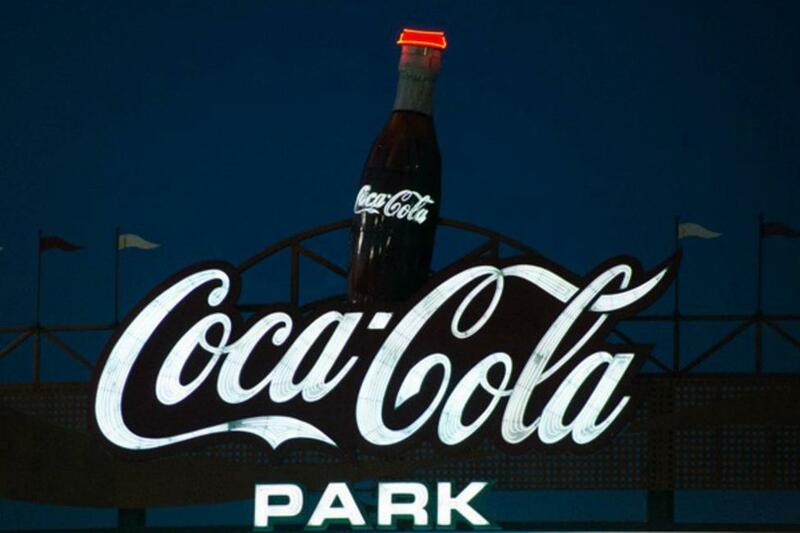 During the 2014 season, 614,888 fans visited Coca-Cola Park during the club’s official 68 home games, with 24 consecutive sellouts and an average of over 9,000 fans per game. You can hit a home run by planning your next event at Coca-Cola Park during baseball season or any other time of the year! The year round, state-of-the-art facility offers a panoramic view of Lehigh Valley. Coca-Cola Park is ideal for exhibits, trade shows and outdoor celebrations. Coordinated Health Club Level at Coca-Cola Park can accommodate 50 to 250 guests with a variety of seating arrangements. NACCI Printing Meeting Room is located Club Level with a variety of seating arrangements available for groups from 30 to 80 people. PPL Picnic Patio is ideal for large groups of up to 500 people. This outdoor location on the 3rd base line is the perfect setting for company picnics, mixers and reunions. Hot Corner, in close proximity to third base, provides a one-of-a-kind environment on the Field Level. It features 48 swivel-style seats across two rows and includes in-seat food and beverage service. IronPigs Team Suite, located on the Club Level, has an indoor lounge area and outdoor seating area and can accommodate up to 30 guests. Rental includes both a game ticket and a two and a half hour buffet. Red Robin Tiki Terrace accommodates groups between 48 and 64 people and is highlighted by a unique seating overhang in left field with access to drink rail and cocktail table seating. Covered, open-air PenTeleData Party Porches are the perfect place to host an event for 30-65 guests. Located on the Club Level, the covered Party Porches overlook the playing field on both the first and third base sides and include seating for your guests and access to the Club Level Bar and Lounge. Mascots FeFe and FeRROUS as well as the Pork Racers can be found at every IronPigs home game at Coca-Cola Park and can be booked for guest appearances at meetings and functions. Coca-Cola Park provides on-site full service catering or concessions for events and meetings. A variety of menus are available for every time of the day, breakfast, lunch, dinner, hot and cold buffets, hors d’oeuvres and desserts, and can be customized for your meeting.